Jin Xuan Milk Oolong Tea has unique natural milky taste due to its high mountain material. 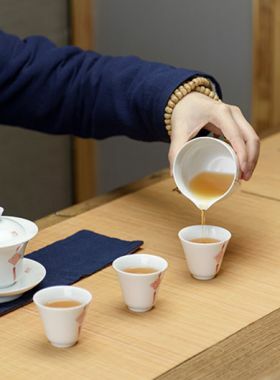 TeaVivre’s Jin Xuan is another type of classic Taiwan oolong, belonging to a category of tea often termed milk oolong for its sweet, creamy taste. However, this particular Jin Xuan is special and unique in that its milky aroma and flavor are entirely natural, with no added flavoring like in some other teas. The first three infusions of this tea will start to bring out a slightly milky scent, which gradually fades away in later cups. While steeping, the loosely-balled leaves unfurl to yield a highly aromatic, smooth, mellow infusion, light-bodied with sweet cream and floral notes. The creaminess is a characteristic of the leaves’ variety, where they are grown, and the processing methods; again, there are no flavors added to this tea. Shi Zhuo Tea Garden, at an elevation between 1000 and 1500 meters, is the highest in Alishan. The mountainous geography here allows for a monsoon climate to coexist with a high mountain climate; this means that tea trees grow more slowly here than usual, and as a result produce tender leaves and mellow teas from the slightly acidic soil. Mr. Lin Xingbiao has been a professional tea farmer for over forty years. Born to a traditional tea family, he has been deeply ingrained in the culture since childhood, and ended up building his own tea factory. As his factory gradually grows, he continually attempts to seek a common development between the tea enterprise and the tea farmers themselves. Mr. Lin believes that the hardest factor to overcome is the weather: if leaves suffer from bad weather, then the result will be a reduced yield with lowered quality. During cold weather the leaves are covered with straw in order to prevent them from frosting; this is one thing that Mr. Lin has learned throughout his years of experience. His first priority is to strictly control his products’ quality and ensure its reputation. Mr. Lin, together with his tea factory, will continue to provide high-quality tea and regularly increase the number of factories that do so. 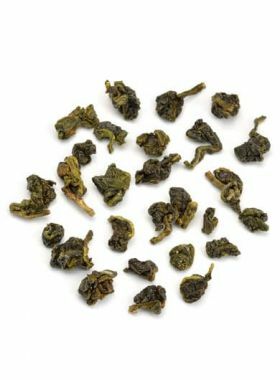 The leaves of this oolong come from Ali Shan, one of the most famous tea-growing areas in Taiwan and covering more than one fifth of the area of Chiayi. At an elevation between 1000 and 1600 meters, these mountainsides area always covered with fog or clouds, ideal for growing oolong. 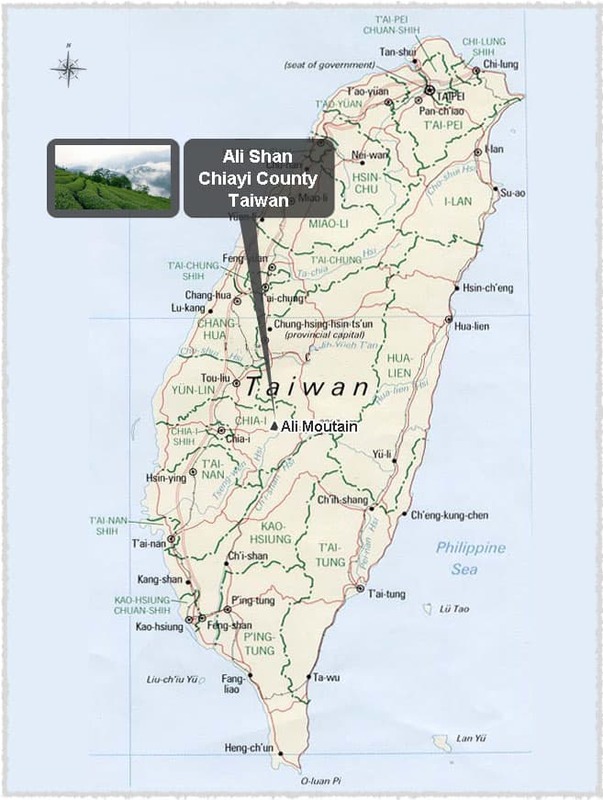 Ali Shan is a famous location in Taiwan, in the east of Chiayi County. With a dense forest, Ali Mountain has earned its reputation as the best summer resort in Taiwan. 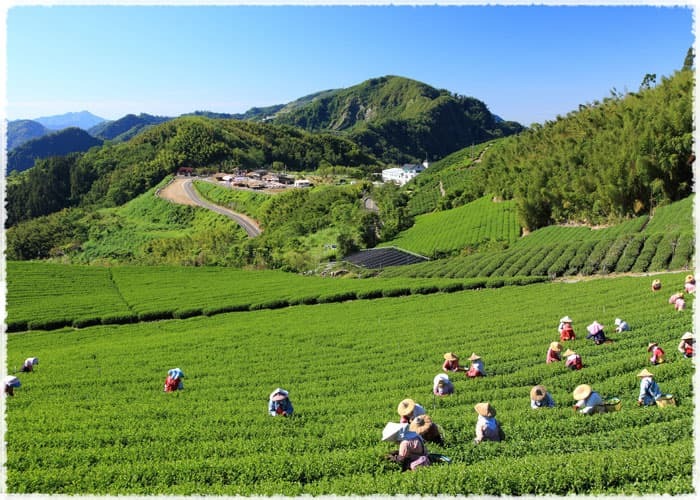 In Chiayi County there are several villages with high-mountain tea gardens, including Alishan, Meishan, Zhuqi, Zhongpu, Dapu, and Falu villages. 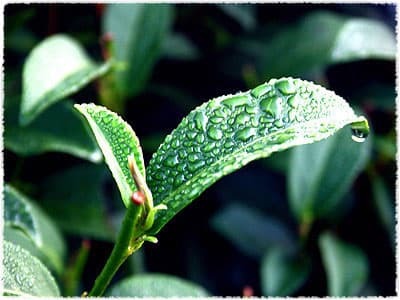 Jin Xuan is a cloned, shrub-type tea variety, developed through research at the Taiwan Tea Agricultural Research Center. 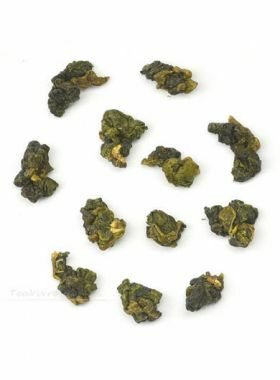 This special variety is known for producing oolong teas with a unique spring floral fragrance and creamy undertone. Oolong tea was first developed in the early 1700s in Fujian, China. As a cross between non-fermented green teas and fully-fermented black teas, it combines the best of both in a single tea - and as a result quickly became popular all throughout eastern China and Taiwan. 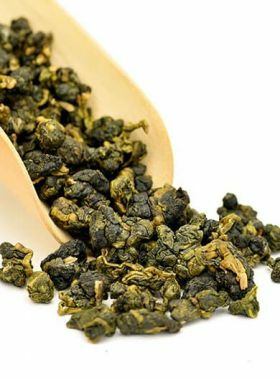 Nowadays, Anxi is the largest producing area of oolong tea, with its representative type of tia guan yin oolong tea. In the year 1855, a man named Linfengchi took a few oolong tea trees with him from the Wuyi Mountains in China and traveled to Dong Ding, in Lugu, Taiwan. Once there he replanted the tea trees, beginning the history of Dong Ding Oolong, one of Taiwan’s most famous teas. During 1858, a British company at that time called Jardine Matheson & Co. brought semi-finished oolong tea from Taiwan and spread it around the world.